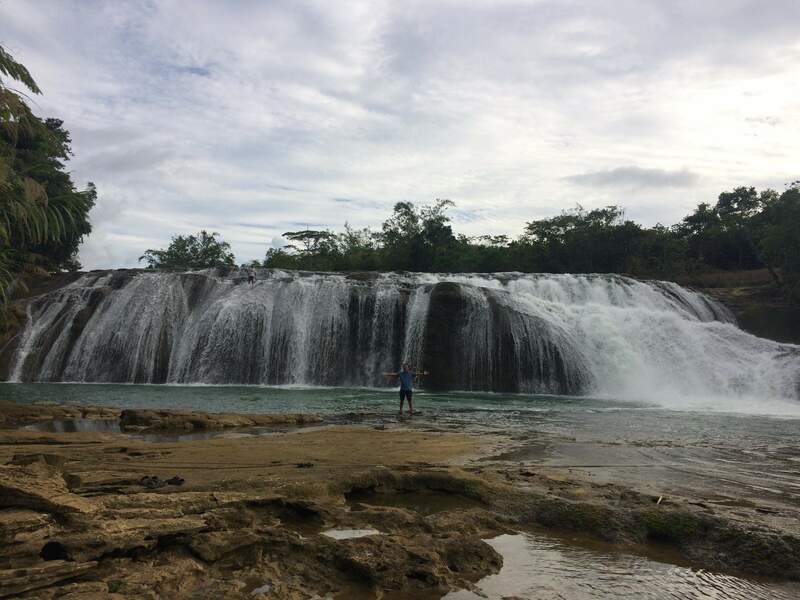 For travel enthusiasts, a new eco-tourism site awaits you in Samar, aside from San Juanico Bridge, Sohoton Natural Caves, and San Juan by the Bay Floating Restaurant. A place where one can have some adventure on a hanging bridge, take instagrammable photos on the view deck with the Lulugayan Falls as the background, or basically just take a plunge and swim on the water falls! Barangay Literon Women’s Association and Lulugayan Falls Tour Guides in Brgy. Literon in Calbiga, Samar, are the newest assisted people’s organizations of Bantay Kalikasan. To prepare for the soft launch of the development of Brgy. Literon as an Eco-tourism site, the two people’s organizations conducted an activity through Pintakasi where 40 participants composed of the P.O. 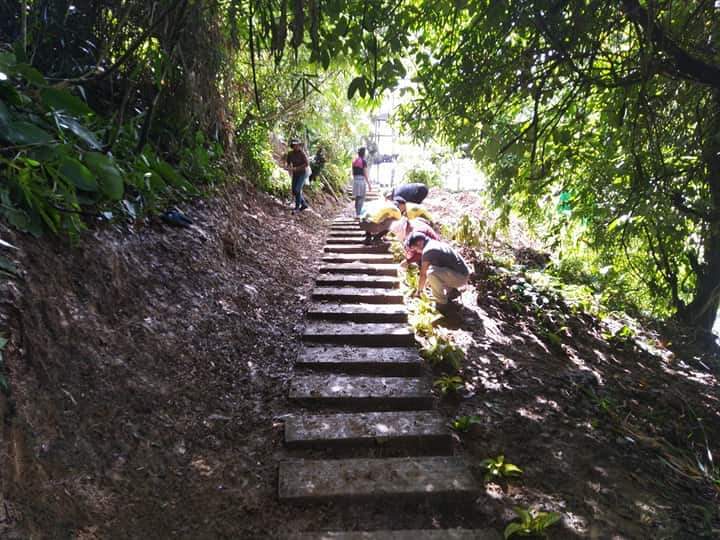 members, Bantay Kalikasan, and 87IB 8ID of the Philippine Army based in the Municipality of Calbiga, worked together to clear the pathway to the falls. They also conducted minimal landscaping along the pathway. Participants work together to plant different ornamentals along the pathway to the falls. Aside from taking instagrammable photos, visitors can also dine in a restaurant which will serve local and organic food. Bantay Kalikasan is still assessing the area to know how deep the waters are and to assign areas where guests can swim. The eco-tourism site of Brgy. Literon is set to have its soft launch this January. Through the funds donated to Operation Sagip following Super Typhoon Yolanda in 2013, Bantay Kalikasan implemented the project to provide livelihood to the residents of Brgy. Literon.